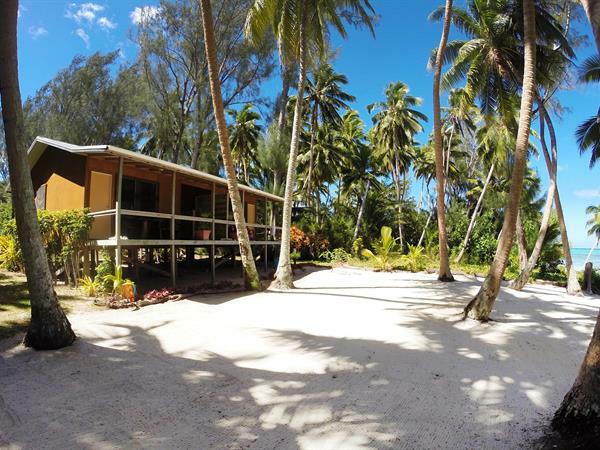 These two Absolute Beachfront units are located on the beachside of Amuri district in Aitutaki. Located just 10 minutes from the Airport and 10 minutes from town, Amuri Sands is perfect for a couple wanting privacy and seclusion on their romantic holiday, or for the single traveller wanting to escape the hustle and bustle of city life. Each unit is self contained, with private bathroom and kitchen facilities, Queen bed and private decking. Creating a quaint and comfortable experience. Enjoy the seclusion and privacy of your own beach with good snorkelling and swimming areas and great sunset views. Return Airport transfers and Snorkelling equipment are included. Rate includes complimentary use of snorkelling equipments and return airport transfers Cancellations made 90 days or over prior to arrival no fees apply, cancellations made 30-90 days prior to arrival will incur a 25% charge, cancellations made within 7-29 days will incur a 50% charge, cancellations made within 7 days or less and no shows will incur a 100% charge.